Ben is a former Legal Secretary to the UK Competition Appeal Tribunal. Ben has experience of a wide variety of heavy and complex disputes and advisory work in the CAT, Chancery Division, Commercial Court, Administrative Court as well as guiding clients through CMA and other regulatory investigations. According to clients Ben “brings clarity to very complex issues”. He is “noted for his strong advocacy skills”, “intricate knowledge of competition law institutions” and the fact that he is “user friendly” and “will work extremely hard to get the right result”. Work has included the following sectors: pharmaceuticals, water, postal services, satellite licensing, gaming and lotteries, organisation of sporting events, rules of professional associations, retailing (including e-commerce issues and after sales services), reciprocal licensing by collecting societies and banking and other financial services. WH Smith v Mastercard and Visa – damages claim for losses caused by interchange fees for payment card services (Commercial Court). Arriva v Luton Airport Operations – abuse of dominance claim for injunction and damages in relation to access to infrastructure facilities (Chancery Division). Pfizer v AAH Pharmaceuticals – interim injunction application re pharma distribution arrangements. Exel Europe Ltd v University Hospitals Coventry and Warwickshire NHS Trust TCC – interim injunction application to remove stay on procurement award decision. Lupin v European Commission – appeal against the Commission’s ‘pay for delay’ decision re Perindopril (General Court). Bord na Mona and ors v BPI plc –industrial bags cartel claims. Moy Park Limited & Vion v Evonik Degussa GmbH – methionine multi-jurisdictional CAT damages claim) and related food phosphates cartel claim. EDF Energy v ABB and ors – Gas Insulated Switchgear cartel claim. Waha Oil Company v Dunlop Oil & Marine – marine hose cartel damages claim. Sintesi e Ricerca & ors v Shell & ors – candle wax cartel damages claim. Emerson Electric Co & Others v Morgan Crucible – electrical carbon cartel claims. National Grid plc v Ofgem – appeal against abuse of dominance decision and penalty (CAT). Association of Convenience Stores v OFT successful judicial review before the CAT of a decision by the OFT not to refer the major supermarkets to the Competition Commission under the Enterprise Act. R(Thames Water Utilities Limited) v Ofwat – power of Ofwat to make inset appointments in relation to ‘brownfield’ sites such as King,s Cross – Administrative Court. R(ICO Satellite Ltd) v Ofcom – Challenge to decision to request the International Telecommunications Union to cancel satellite operator’s right to use certain frequencies (Court of Appeal). Jersey Telecom Ltd v Jersey Competition and Regulatory Authority – introduction of mobile number portability to Jersey. H3G, BT and O2 v. Ofcom – mobile call termination (CAT). He has extensive experience of defending and prosecuting cartel infringements before the competition authorities and courts as well as follow on and standalone claims for damages. Ben had advised on a wide variety of horizontal and vertical agreements in a wide variety of sectors including cases involving technology and e-commerce. He has advised and litigated cases involving the interrelationship between intellectual property rights and competition laws (e.g. licensing standard essential patents and patent settlement agreements). He has also been involved in defending and prosecuting a significant number of abuse of dominance cases before the competition authorities and in the courts, including applications for interim injunctions. He has been involved in a number of cases involving access to ‘essential’ facilities. Ben regularly advises in this area. Recent work has included advising on issues in the nuclear industry (Hinkley Point) as well as the application of the rules in relation to particular fiscal regimes (e.g. Aggregates Levy). Ben has extensive experience of EU and UK merger and market investigations, both at the administrative stage and on appeal. He has been involved in some of the most high profile cases in recent years: e.g. Eurotunnel v CMA (Supreme Court) and BAA v Competition Commission (Court of Appeal). Ben has significant experience in advising on commercial/consumer regulation in areas such as unfair contracts, distance selling, advertising regulation. He has advised a number of significant retailers in this area. He was recently involved in advising companies involved in the CMA’s investigation in to children’s online apps and games. Ben is an experienced procurement lawyer. He advises on cases under the public and utilities regulations and wider EU obligations that affect procurements. His work has included advising parties to major procurements such as the tender for search and rescue helicopters or issues around the procurement of rail franchises and associated services. His experience also includes cases in the fields of construction, transport, education and social services. He has appeared in reported cases in the field, for example on behalf of the Contracting Authority that was successful in obtaining the lifting of the automatic suspension in Exel Europe Ltd v University Hospitals Coventry and Warwickshire NHS Trust. He also has significant experience of cases that do not fall within the Regulations. His experience encompasses competitions for commercial licences, for example in relation to offshore electricity transmission services and major casino licences, where he has been instructed in related judicial review proceedings. 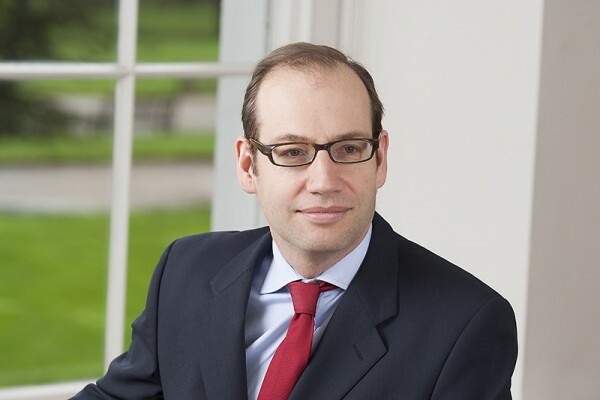 As an experienced competition lawyer and litigator he also has significant experience of the state aid and competition law issues that may arise in connection with procurement situations: see for example Arriva v Luton Airport where he acted on behalf of the successful claimant. Ben is a member of the editorial board of one of leading publications in this area, the Public Procurement Law Review. Ben is part of our VAT team and was recently involved in the Isle of Wight v HMRC test case which is at the intersection of VAT and competition law. The question at issue was the correct legal approach to assessing when local authority activities will lead to significant distortions of competition with private sector operators if not subject to tax. He has also been involved in cases on the correct tax treatment of mobile phone top-up vouchers as well as confiscation proceedings, in addition to advising on issues arising under the EU customs code. He is also experienced in the application of the EU State Aid rules to fiscal measures, for example in relation to the Aggregates Levy introduced by the Finance Act 2001 (See British Aggregates Association v EU Commission). Ben also has experience of dealing with anti-dumping duties. Communications – his experience covers issues such as mobile call termination, interconnection and spectrum disputes, and mobile number portability in the UK and in other jurisdictions. He has also advised on satellite licensing issues and the interrelationship between domestic and international law in this area such as the rules of the International Telecoms Union (see e.g. R(ICO Satellite Ltd) v Ofcom). Water – his experience covers inset appointments (see e.g. R(Thames Water Utilities Limited) v Ofwat) , common carriage, licensing and pricing issues. Gas and electricity – he has advised on code modification appeals, off-shore transmission issues and metering services (see e.g. National Grid plc v Ofgem). He has also advised on state aid issues in the context of nuclear energy. Postal services – his experience covers issues arising under the rules established by the Universal Postal Union, issues regarding the universal service obligation and issues relating to the civil liability of postal operators. Recent Human Rights work includes giving advice in relation to proceedings before the European Court of Human Rights regarding the compatibility with the right to property (Art 1, Protocol 1 ECHR) of certain Spanish planning laws (the Valencian Ley Reguladora de la Actividad Urbanistica). Work also includes cases under the International Covenant on Civil and Political Rights. Ben’s experience in sports cases includes the competition law aspects of the organisation of sporting events and arbitral disputes under the rules of sporting organisations, including between national and international sporting bodies, and disputes over issues relating to promotion and relegation. Ben writes and speaks regularly on competition and public law issues. He regularly speaks on judicial review, competition law and human rights to various legal audiences. Examples are the United Nations’ training course on competition for developing countries, the Nottingham Trent University’s Competition Law Advocacy Course, the Law Society European Group, the British Institute of International and Comparative Law and professional education providers IBC, CLT etc. At the end of 2000 he was appointed as legal secretary (referendaire) to the President of the UK Competition Appeal Tribunal (“CAT”), Sir Christopher Bellamy (formerly Judge of the Court of First Instance of the European Communities). As legal secretary to the CAT he was involved in all the first “landmark appeals against the decisions of the OFT and sectoral regulators under the Competition Act 1998, reviews of merger control decisions under the Enterprise Act 2002 and the first “follow on” claims for damages brought in the Tribunal under the 1998 Act. He was also closely involved in the first appeals brought against decisions of the Office of Communications under the Communications Act 2003, which implements the EC Commission’s new Electronic Communications Package. At the CAT he also assisted in drafting the Tribunal’s Rules of Procedure and Practice Directions and also liaised with central government departments in relation to legislation relevant to the operation of the CAT, including the operation of the European Commission’s “Modernisation” proposals embodied in EC Regulation 1/2003. Administrative and Constitutional law Bar Association; Bar European Group; British Institute of International and Comparative law; Competition Law Association and Criminal Law Bar Association. Fluent French; basic German; basic Italian.